With the advent of digital marketing channels for brand engagement have multiplied exponentially over years. During the 19th century channels for engaging fans were limited to newspapers and lottery tickets at best but in this 21st century social media as a channel for engaging fans have gained prominence over all other traditional channels. Social media has now become virtual sports bar to which fans flock to before, during and after the games. 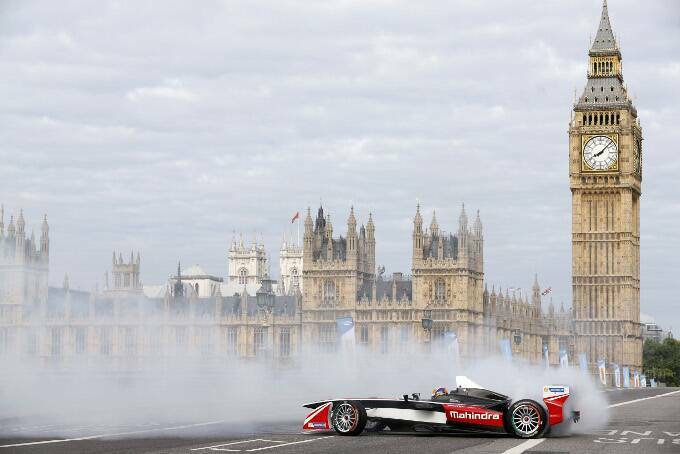 Formula E Championships officially the FIA Formula E Championship, is a class of auto racing that uses electric –powered cars. Since its inception Formula E has introduced ‘Fan Boost’- voting contest that gives three drivers in each race a temporary power boost during the course of the race. Fans use specific hashtags on Facebook, Instagram and Twitter as well as use the Formula E Website or App to vote for their favorite driver. The highly controversial feature has resulted in increasing engagements and reach, underlining the growing impact and importance of digital media for fan engagement. “The fans will be directly involved in the result of the race through social media. “Says CEO of Formula E Championships, Alejandro Agag. Free of cost Organic Social Media Promotions by fans in forms of check-ins and photo /video share are opening up new streams for revenue generations. 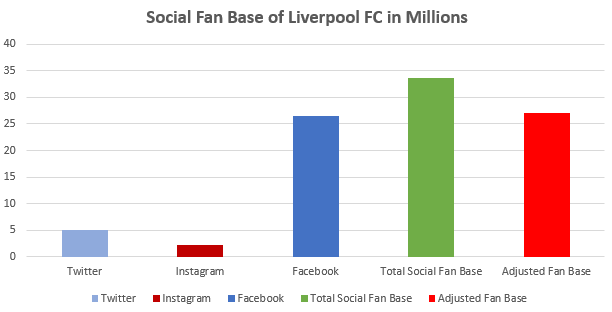 According to a research, Liverpool FC’s global fan base is expected to be somewhere around 60 million If we track Liverpool FC fan base on social platforms we can deduce that there are 25 Million unique fans. Liverpool FC still has 33 Million inactive social media fans which means around 55% of the fan base is untapped on social presenting a huge marketing potential for the club. With scattered and the ever-growing global fan base on social media, traction on social is becoming an essential element of a club’s strategic expansion in terms of revenues and geographies. > High fan engagements and reach on social media being the primary objectives, the NBA’s Phoenix Suns have at least 18 different Twitter accounts encompassing the whole of their organization, from the team, to players, to dancers, to their PR and web development team, and even one for their mascot which are used not only for engaging fans but also for pushing merchandise of Phoenix Suns. Owing to this Suns have witnessed a double digital % increase in Merchandise Sales during last season. Aishwarya Sharma is working as an analyst for TTND - India.